ALICE Training is changing how schools, universities and businesses respond to armed intruders. ALICE (Alert, Lock-down, Inform, Counter, and Evacuate), developed after Columbine, teaches strategies to survive a school emergency incident. This training was the first phase of strengthening the safety of our schools by first preparing personnel in how to protect students and staff in case of a critical violent situation. Parents continue receiving updates, and students will be trained and prepared by their teachers. 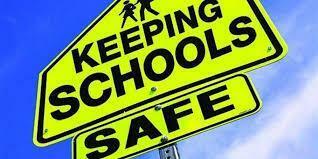 A comprehensive safety plan with process, procedures and practice drills is expanding beyond fire and earthquake drills because Robla is committed to a Safe, Respectful and Responsible School Climate for our students.